The relationship between freedom and work is a complex one. For some, they are considered opposites: ‘true’ freedom is possible only once the necessity of work is removed, and a life of luxury attained. For others, work itself provides an opportunity to achieve a sense of freedom and authenticity. In recent years for example, advances in human resource management have promoted hard work, a deep sense of commitment to one’s job, and the acceptance of working conditions that are ostensibly exploitative, as offering the promise of freedom. Recent corporate and entrepreneurial celebrations of playfulness also provide examples of the deep entanglement of contemporary forms of knowledge work with ideals of freedom. 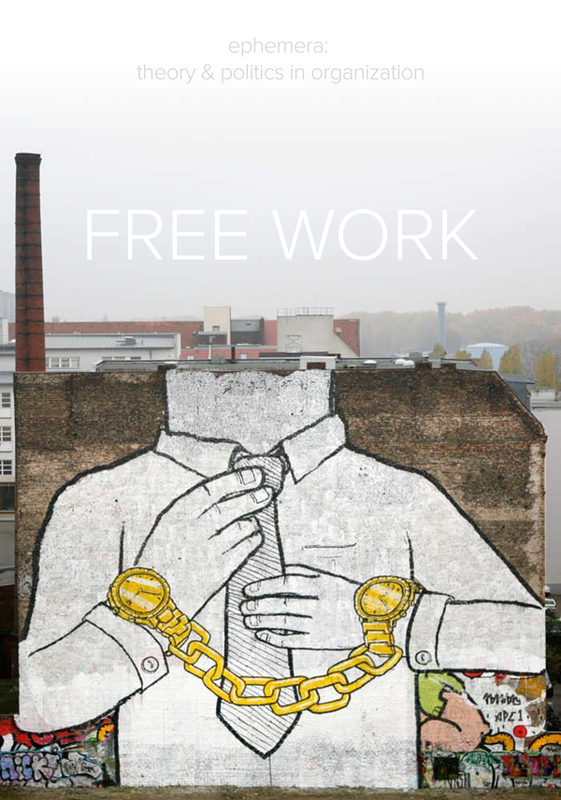 In this issue of ephemera, our contributors inquire into the relation between freedom and work. They ask, for example, whether it is even possible to free oneself from ideals of freedom? Or is the fantasy of an imagined place of freedom, the utopia in which no work taints our lives, simply too prevalent? It may be the case that in contemporary life, we fool ourselves yet further when we ask for freedom within our working life. But can we free ourselves from the very prospect of freedom? The history of philosophy – an obituary?